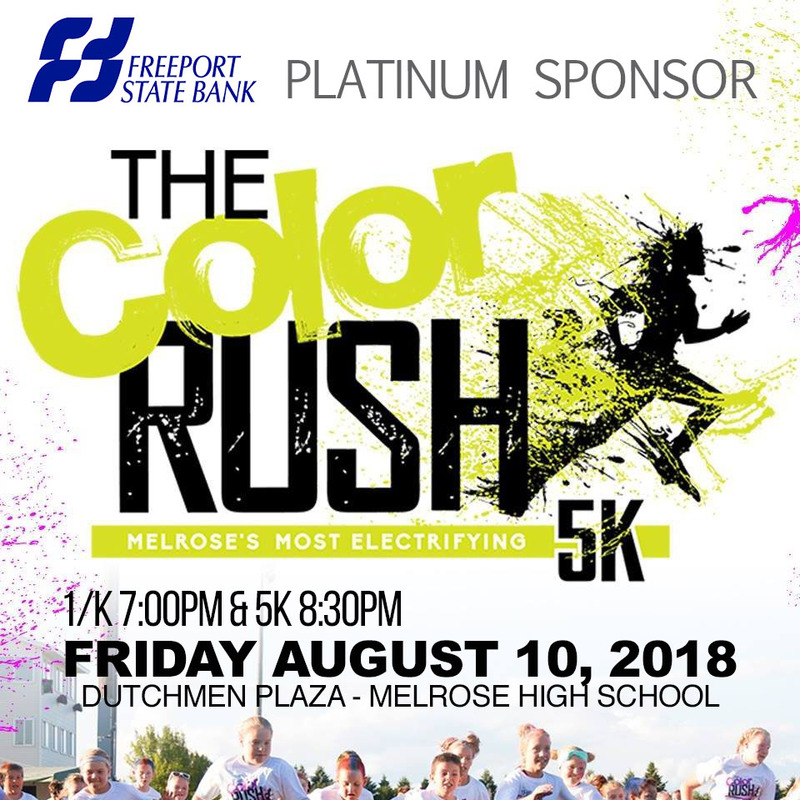 Freeport State Bank is the proud Platinum Sponsor for the 2018 Color Rush 1k & 5k on Friday August 10th. The 1k will start at 7:00pm and the 5k starts at 8:30pm. There are activities for everyone including crazy hair and nails, trampoline launch pad, fun inflatables and more! Join us in supporting the Melrose Gymnastics team.